Here is a definition that seems to cover it all – to gaslight a person or a group is to skillfully embark on a systematic program of lies, tricks, or other attempts at psychological manipulation in order to destabilize those targeted and make them question their perceptions of reality, or ultimately, even their own sanity, all towards the ends of establishing power and control. 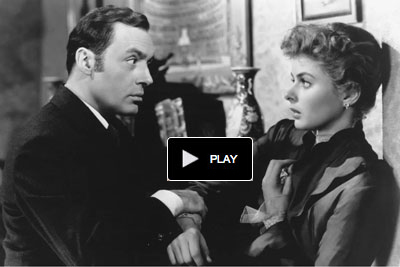 A befuddled Ingrid Bergman and a cruel but charming Charles Boyer in Gaslight (1944), directed by George Cukor. The origins of the idiomatic use of gaslight can be traced back to the 1938 play of the same name, followed by a 1940 British film adaptation, and then its 1944 Hollywood remake. In the American Gaslight, a very young and beautiful Ingrid Bergman plays Paula and the suave and debonair Charles Boyer is cast as Gregory. After a whirlwind romance, Paula and Gregory marry. Interestingly, Boyer’s character is at least 10 or fifteen years senior to his orphaned, impressionable bride. As newlyweds, the couple moves into a long-vacant London town house that Paula inherited from her aunt. But viewers soon learn it is an abode of secrets, holding the tale of an unsolved murder, and a hidden trove of priceless jewels. Paula begins to experience strange occurrences in the house. Most disturbingly, the home’s gas lamps flicker, dim, and brighten seemingly on their own accord. In reality, these and other strange happenings have been cunningly orchestrated by Gregory to convince his wife, as well as others, that she is going mad. The next step in the plan would be to have Paula institutionalized, which would give her husband the freedom to thoroughly search their home to recover the lost gems. And there you have it, all the plot elements of what today would be recognized as a classic gaslight con job. Gaslight was a hit at the box office and swept the 1945 Academy Awards, winning a total of 7 Oscars, including Bergman and Boyer for best actress and best actor along with Joseph Cotton and Angela Lansbury for their supporting roles. But it took awhile for the film’s title to become synonymous with efforts to insidiously control others. Until the advent of postwar American TV broadcasting, nearly all films had a relatively short shelf life. After playing the first-run downtown movie palaces, and then the second-run neighborhood and small town theaters, that was it. Studios held on to their old films but didn’t know what to do with them or how to make additional money on these properties. And then came television, with its insatiable need for programming. Gaslight received its first telecast in Los Angeles on October 11, 1957 on KTTV, and soon appeared on local TV stations throughout the nation. Whole new audiences were exposed to films that otherwise may have been forgotten. 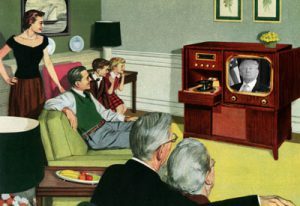 Among those viewers were behaviorists of all kinds who recognized sociopathic activity when they saw it. And sure enough, as early as 1961, the first use of gaslight appeared in print as a psychological descriptor. While the term gaslighting is firmly secured in the lexica of various fields of analytical behavior research, the etymological trail as to when the idiom was first used by news men and women is sparse. 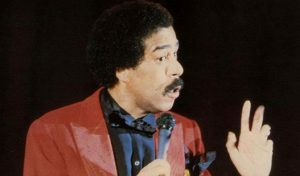 Richard Pryor (1940 – 2005). Wildly acerbic stand-up comedian and hugely successful comic movie star. This entry was posted on Thursday, September 6th, 2018 at 2:59 pmand is filed under . You can follow any responses to this entry through the RSS 2.0 feed. You can leave a response, or trackback from your own site.